Many of you know that body image issues have been a struggle for me for most of my life. I started counting calories when I was nine, I ate between 600 and 900 calories a day the summer before I started high school, and throughout my first 14 years of motherhood, I tried to eat as little as possible each day--and still get out to exercise (even when I was exhausted from being up all night). That part of my story hasn't been pleasant. About a year ago, I started something new. I read The Calorie Myth my Jonathan Bailor, and my frustrations with food and exercise finally made sense to me. He explained the science behind how our bodies work. He told me which foods would help my metabolism to heal. More importantly, he helped me to finally achieve "nutritional serenity," so I don't even have to think about calories anymore. I wish I could explain how much this has meant to me. Looking back, I can't believe how many years I spent going hungry. But the story gets better...a lot better. 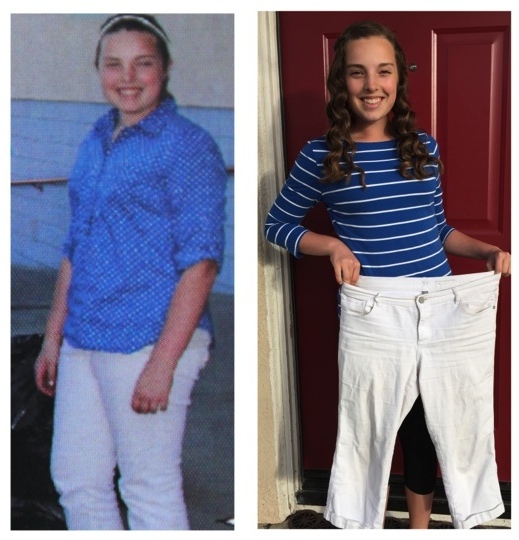 My daughter, Alia, started struggling with her weight when she was in third grade. I helped her to count calories (like I did), and I encouraged her to eat less sugar. I also tried to get her moving more and invited her to participate in my workout DVDs. Nothing worked. She kept getting heavier and heavier. However, when I started applying the advice from Jonathan and The Calorie Myth, she saw that it was working for me, and she began to follow my lead. It was slow at first. We started eating green smoothies together, and I showed her how to get protein into every meal. But over the course of a few months, her entire body changed. Every few weeks, we were heading off to Old Navy to buy her smaller pants and poking new holes in her belt so she could tighten it. It wasn't only her body that transformed. 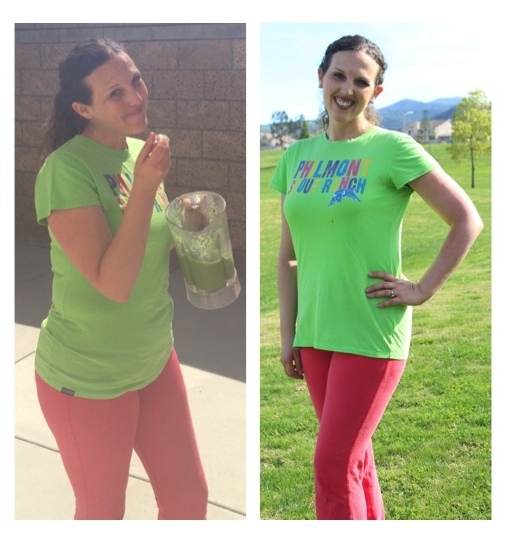 She became happier and more confident than I had ever seen her--without EVER being hungry. Last September, I reached out to Jonathan Bailor on Twitter and thanked him for making a difference in our lives. Then I invited him on Power of Moms Radio, and he invited me onto his podcast. We talked about Alia--and all the mothers, fathers, and children out there who are overweight and/or diabetic--not because they are weak, but because they don't know what to do besides "eat less and exercise more." Then we decided we could do something together to help save lives. We outlined a step-by-step program for families--including things like how to grocery shop, how to pack SANE lunches, and how to eat healthfully while on the go. We recorded videos about how to get organized so the process would feel easier, and we interviewed Alia regarding how she made this transformation as a 15-year-old girl. This week, our SANE Families program has launched. It has taken hundreds of hours behind the scenes to get it up and running, and there's still a lot of work ahead of us to get it out to the families who need it, but this is part of my Butterfly Project I've been telling you about. My life and Alia's life have been so transformed by Jonathan's work that we feel compelled to share it with others who are struggling like we were. So excited about this--and hopeful that we can make a real difference. Excited to read about this. You answered my question and I just bought it! Amazing women. I just got the starter kit! I'm so glad that Power of Moms has been helpful to you! Thank you for your kind words. It means so much to me to know that all this work matters. It means even more to know that there are other deliberate mothers out there who care about their families, as you clearly do. Keep up the GREAT work! !